Rumor: NSR will send five girls to compete at MW 2018? I don’t know how true it is but rumor has it that NSR, the most renowned model agency in China and also partner of Miss World, will send FIVE contestants to compete at Miss World 2018. Besides Mao Peirui, the main titleholder who was crowned two weeks ago, another four who are entitled Miss China East, Miss China West, Miss China South and Miss China North respectively will join Mao and vie for the blue crown on the global stage according the official WeChat account of NSR. If true, it’ll be the stupidest idea I’ve ever known in any beauty pageant. What on earth are those people thinking??? I hope Julia Morley is conscious enough to say NO to this. If Miss World should allow this, I suggest that national directors boycott Mess World. Re: Rumor: NSR will send five girls to compete at MW 2018? I'd love to see different Chinese beauties! The more the merrier! It is better if China uses autonomous region than china west, east, etc. [quote="andydmoray"][size=150][font=century gothic][b]I don’t know how true it is but rumor has it that NSR, the most renowned model agency in China and also partner of Miss World, will send FIVE contestants to compete at Miss World 2018. Besides Mao Peirui, the main titleholder who was crowned two weeks ago, another four who are entitled Miss China East, Miss China West, Miss China South and Miss China North respectively will join Mao and vie for the blue crown on the global stage according the official WeChat account of NSR. If true, it’ll be the stupidest idea I’ve ever known in any beauty pageant. What on earth are those people thinking??? I hope Julia Morley is conscious enough to say NO to this. 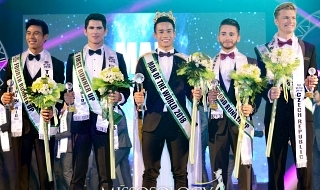 BAKIT AAPATIN PA, ISA NGA LANG PWEDE NANG DAYAIN PARA MAGING MS WORLD 2018, KAGAYA NUNG 2 BESES KAMAKAILAN LANG BUTI SANA KUNG KAGAGANDA. So far MW only lists 1 slot for China PR on its official website. I do hope MWO will not allow this. chaoxu08 wrote: It is better if China uses autonomous region than china west, east, etc. Dear, these four have nothing to do with SAR like Hong Kong and Macau. HK and Macau will have their own representatives if they are willing to send one. Those four are all from mainland. That’s why I think it’s ridiculous coz we don’t want that many girls to represent us at any international pageant. It’s certainly unfair to those who send (and they should) only one delegate. I try to translate the page and I don't find any clear statement saying that they will compete at Miss World 2018. There's a phrase saying that "these 5 are the best to represent China" but that could mean as a representative of Chinese culture and beauty and not essentially having them to compete at Miss World. 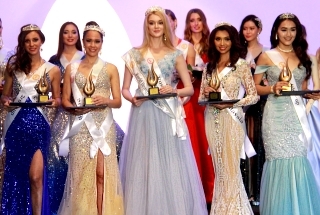 Could it be that these regional winners are equivalent to the Continental Queen of Miss World? moon gin wrote: I try to translate the page and I don't find any clear statement saying that they will compete at Miss World 2018. There's a phrase saying that "these 5 are the best to represent China" but that could mean as a representative of Chinese culture and beauty and not essentially having them to compete at Miss World. Could it be that these regional winners are equivalent to the Continental Queen of Miss World? (Literally: hopefully they will walk all the way to the end in the global competition). And there were rumors about it a few days ago and that’s why I got concerned about it coz NSR is said to have bought some stocking share of the Miss World Organization (to be affirmed) and will be the official franchise holder of Miss World in China and a long-time partner of Miss World. Of course I hope it’s a total hoax and just for the purpose of getting exposure. Last edited by andydmoray on Mon Nov 05, 2018 2:04 pm, edited 1 time in total. It's Mess World 2018 for China anyway hahahahaha--let them filled 40 spots from China and they will all make it to the top 40 semi finals--love it it---this cooking show is the best.. I am not talking about SAR, I’m talking about Tibet, Inner Mongolia, etc. which are consider as autonomous regions. They might as well ask the 50 states of the United States to be represented. Including all the territories of UK, France, Netherlands. Voila!!! We have 200 candidates! 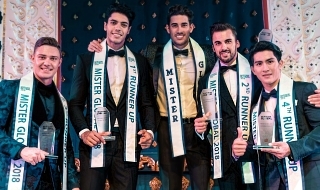 It will not be a surprise if they will do that, they already manipulated the result back in 2012 for so desperately winning a pathetic MW crown after years of hosting the pageant and not winning the title since 2012 I think they will do it again this year. Another Chinese woman will be crowned Miss World 2018 that is for sure... They tighten the grip on the neck of Julia Morley and she accepted this as a repayment for China's bragging hosting rights. She has no choice because the MW org. is running on a tight budget constraints and they have to resort to some other things including this one and she has no choice but to submit to this nastiness. This is stupid. Hope MWO won’t let this happen. THATS WHAT I TOOK AWAY FROM WHAT I READ. THOSE FOUR GIRLS WERE CROWNED AS QUEENS FOR THEIR REGIONS...NOT NATIONAL TITLEHOLDERS. Just another Miss World nonsense. Get ready with your sleeping bags. Rumors. I guess it's the season for it. Miss World arrivals should soon start and the organisation is very low key. National directors are also quiet about the program and they have received the itinerary. It was rumored here by a forumer that NSR has bought MWO stock share (alongside the false news that Julia Morley will step down as MWO Chairwoman this year), but according to Global Beauties who has contacted MWO, the rumor is incorrect. As for NSR as the franchise holder of Miss World in China, they indeed are. Last year Chinese rep was also chosen by NSR. Jonathan Nguyen wrote: This is stupid. Hope MWO won’t let this happen. Stoichio wrote: They might as well ask the 50 states of the United States to be represented. Feeling British these morning breath creatures. The Philippines must send 70+ representatives, I suggest. Hey! You don't need to describe your self. Everybody knows!